NWA Health Solutions carries an extensive line of products. We provide our patients with supplements, pillows, biofreeze, tinctures, foot orthotics, and any other postural support braces needed. 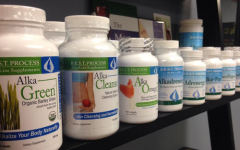 NWA Health Solutions carries 6 different lines of supplements. First and foremost, we carry AlkaLine B.E.S.T. Process supplements. These supplements include digestive enzymes, cleanse products, multivitamins, weight loss shakes, probiotics, fish oil and more! NWA Health Solutions also carries Standard Process, Apex Energetics, Pure Encapsulations, Premier Research Labs, and Neuro Biologix supplements. These supplements are whole food supplements that are designed to enhance your health, without any additives or artificial ingredients. We carry joint supports, children’s multivitamins, fish oil, hormone support, and more! 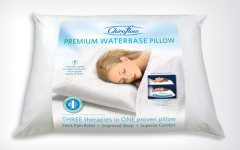 NWA Health Solutions carries My Pillow and TriCore pillows designed to support the natural curvature of your neck. Without proper support of your neck through the night, you can begin to develop poor spinal curvature. When this happens you may begin to notice symptoms such as: headaches, numbness or tingling in your arms and hands, poor range of motion in your neck, or stiffness of your neck. We are also happy to order you any other pillow that may fit your needs a little better. 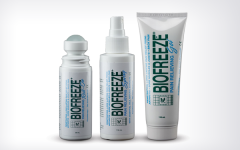 NWA Health Solutions carries Biofreeze, a pain relieving gel. Biofreeze works a lot like ice in a sense. It contains a component called Ilex, which is designed to pump out any fluid or inflammation, and decrease pressure, in turn enhancing the healing process and decreasing your pain. We provide our patients with the option of a roll-on tube, gel, or spray bottle, making it easy to apply! 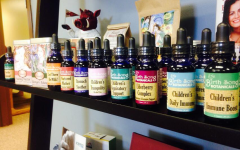 NWA Health Solutions carries a line of all natural tinctures, Birthsong Botanicals. These tinctures are an amazing way to support the health of children and pregnant women. We carry a variety of tinctures for children, including: Respiratory Support, Daily Immune Support, Tranquility, and Elderberry Complex. For the pregnant woman, or woman trying to conceive, we carry: Fertile Ground, Let There Be Milk, and Elderberry Complex. NWA Health Solutions carries a wonderful line of foot orthotics, known as Foot Levelers. A foot orthotic is used to stabilize your gate and balance the weight on each foot. 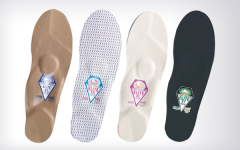 Orthotics help support the arch of your foot, the ball of your foot, as well as your heel. Foot Levelers are amazing because they are custom for each individual patient. We will get a mold of your foot and have a custom orthotic made specifically for you!